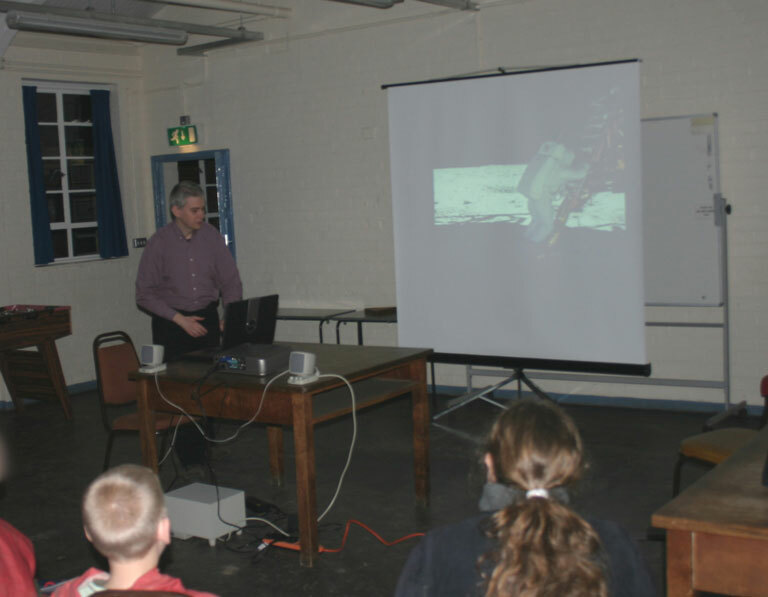 DDAS members Mike Lancaster, Chris Newsome and Adrian Brown went to Thornbridge Outdoors near Bakewell on the evening of 14th March 2006 for an evening of astronomy with a group of children and teachers from Meersbrook Bank Community Primary School in Sheffield. Armed with the DDAS LX-90 telescope and instruments brought by Chris and Adrian there was to be a stargazing session. However this was thwarted by cloudy skies! So Mike gave a talk on the planets to the pupils instead. The talk was lavishly illustrated with spacecraft images, Apollo footage and the recent results from missions to Titan and Mars. A number of astronomical images by Chris, Adrian and other DDAS members were also shown. Picture credit: Chris Newsome.